The Jane Douglas Chapter was organized by Mrs. John L. Henry on 19 October, 1895. It was the second DAR chapter in the State of Texas. 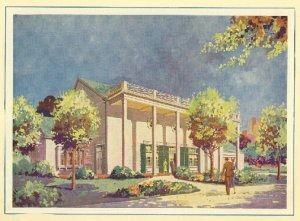 Our chapter meetings are held in the Continental DAR House, which was a gift by deed to Jane Douglas Chapter from Continental Oil Company on 31 October 1937. Please join us on this web site to learn about the unique personality of this chapter. We welcome new members and would love to hear from you if you are eligible for membership in Daughters of the American Revolution. as printed in Continental Oil Company's magazine.